Getting a puppy is a big deal. I knew it would be a big change for my two girls. Our old dog but was already middle-aged by the time they came around. My 3 year old in particular can be a little, shall we say, overzealous in her affection. Big changes go better when little kids know what to expect. How to prepare them? 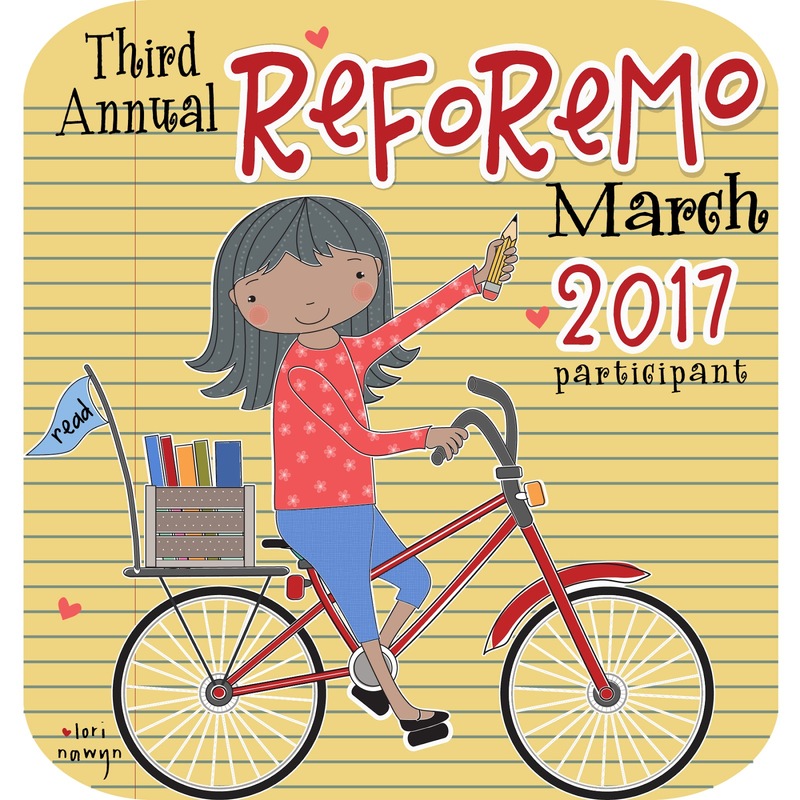 With books, of course! New siblings, moves, going to school for the first time, … The library shelves are packed with books to help kids through these transitions. 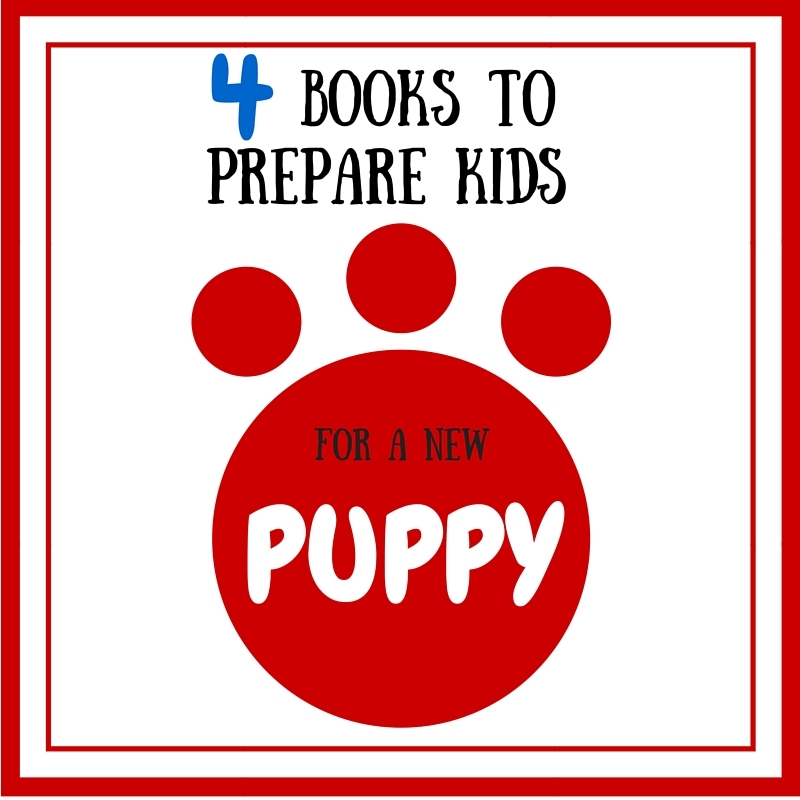 Why not use books to prepare kids for a new puppy? 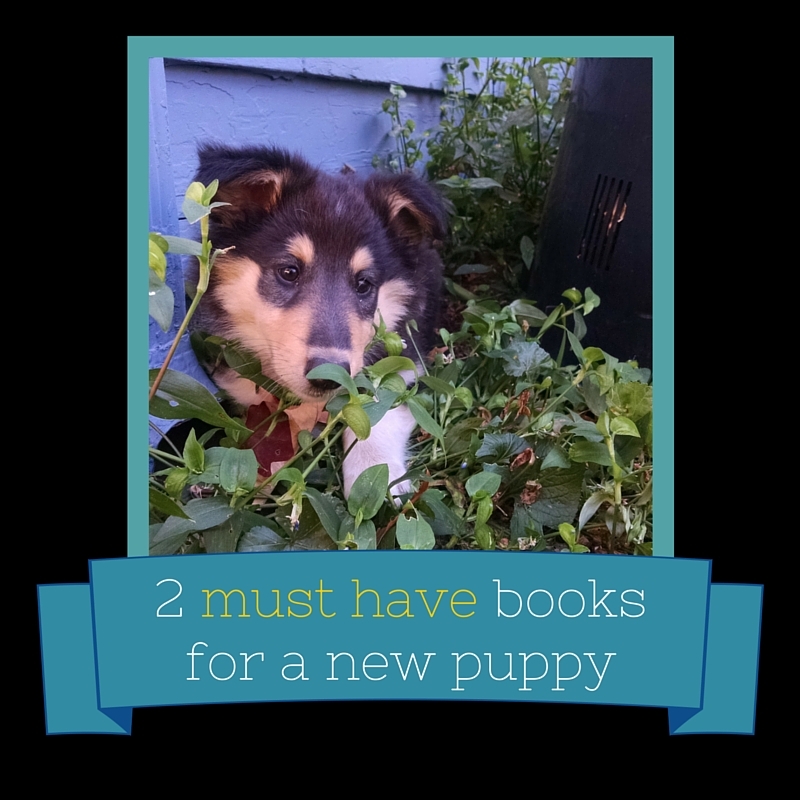 Here are a few of our favorite puppy books. This was a big hit with my 3 year old. It’s the story about a dog having puppies as told by a little girl. It’s also my top pick for preparing kids for a puppy. It explains puppy development and behavior in an age appropriate way. More importantly, it also shows kids how to behave. How to approach a new puppy. How it will act. How to hold a puppy. Play gently. Perfect! This book covers a lot! It discusses growth, different breeds, anatomy, and on and on. It packs an informational punch wrapped up in Seussical rhyme. 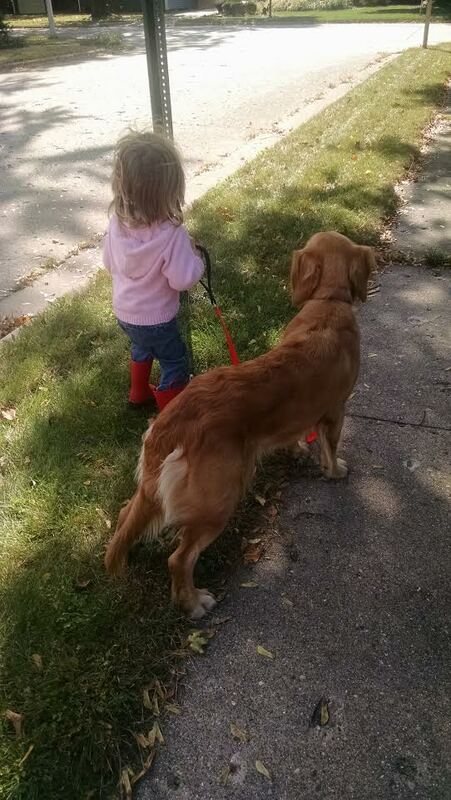 My girls already love this big red dog. They loved reading about his start as a tiny red puppy. How did Clifford go from being a tiny runt to a gigantic hound? Read to find out the secret ingredient. This was another great informational book. It compares puppies and kitten. Great for setting expectations for little kids! We’ve had our puppy a week today and things are going great! It’s been a dog-centric week for me. I wasn’t joking about the new puppy. The Isaacs household has gone from zero dogs to two young dogs in under two weeks. Our home is much happier with dogs in it. It’s also a lot muddier. And a bit more hectic. My reading the last couple of weeks has also been dog-centric. 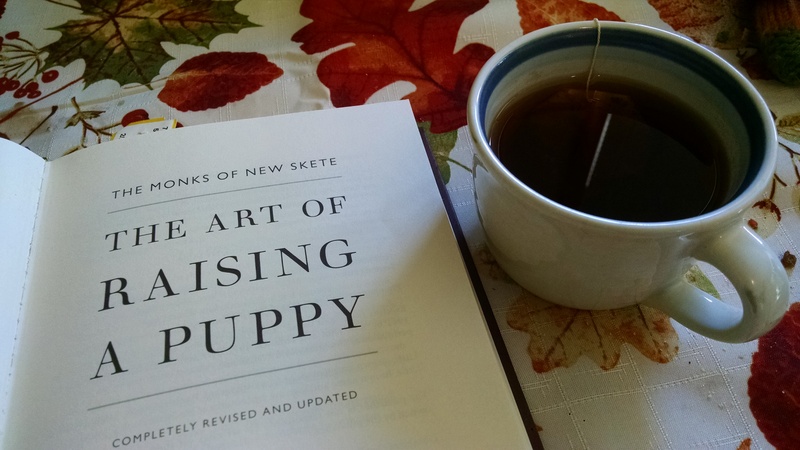 I’m re-reading two of my favorite dog training books: The Art of Raising a Puppy and How to Be Your Dog’s Best Friend. Both were written by the Monks of New Skete. New Skete is an Orthodox Christian monastery in upstate New York. The Monks there have been breeding and training dogs for 40 years.Their books are about more than just basic training, though. They books focus on understanding and living with dogs. They’re equal parts training, philosophy, and natural history. A couple of years ago our family visited New Skete. A family vacation took us within driving distance on a Sunday morning. The church was resplendent. The service was reverent. The grounds were beautiful. Unlucky for us, our unplanned visit was the same day they all left on retreat. Someday I’d like to go back to see more. And maybe get a peek at their dogs. I don’t even have four blog posts yet and I disappeared. Before I turn into the least interesting person in the world, let me explain. First, there was this dog. She needs a home for a few months and we’re fresh out of dogs. Our last doggy died a month ago after a long battle with bone cancer. The kid’s are enjoying having a new dog. She does things our last dog couldn’t. Like walk. And play. And chew on their things. They may not be enjoying that part so much. Three days later we left on a trip. Nothing says “welcome” like sending you off to stay with a boarder you’ve never met. Two days after you arrived in the state. Thankfully, all went well. She made friends with the other dogs. 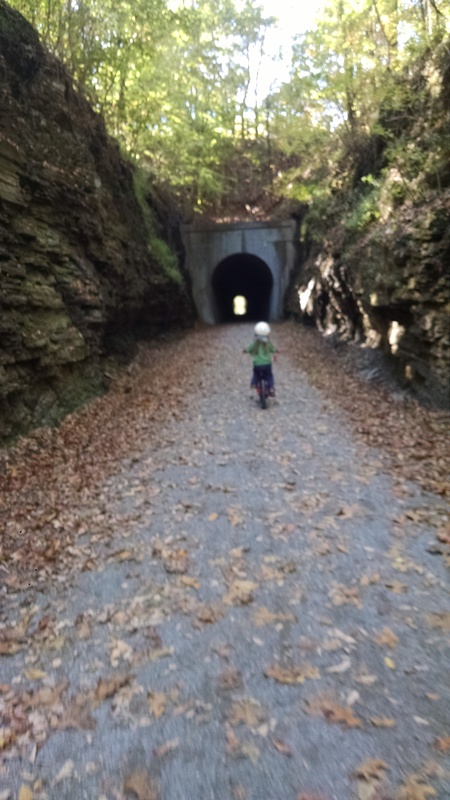 We biked 30-something miles through beautiful fall foliage and cool old tunnels. We didn’t freeze while camping, despite my southern blood. And I’m still moving, even. Yay! Now we’re back home and enjoying the calm. Until the new puppy comes home. Next week.